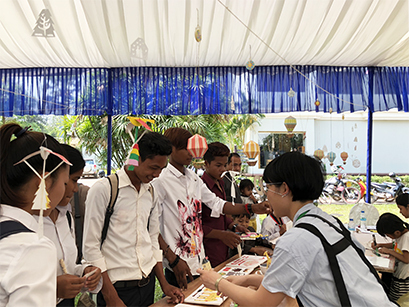 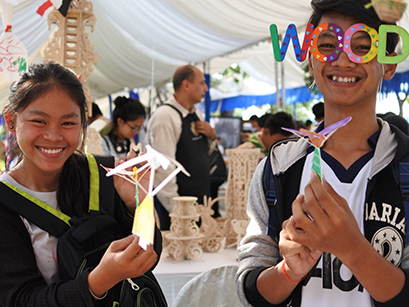 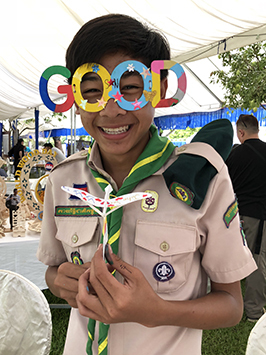 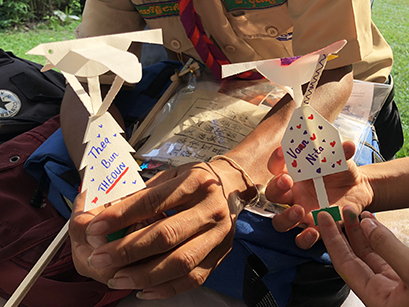 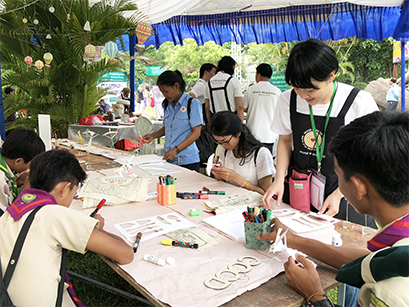 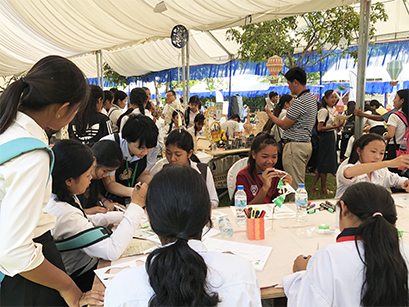 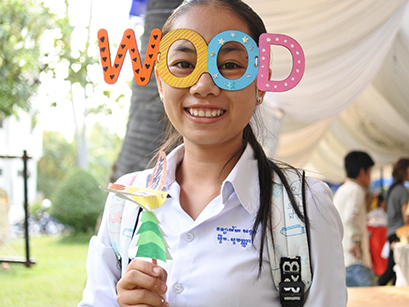 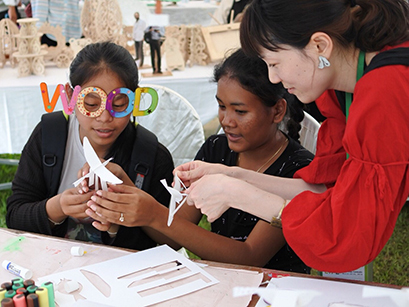 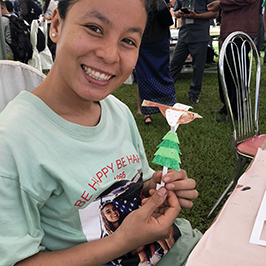 I participated in the event "2018 World Wood Day" that was held at Siem Reap, Cambodia in March 2018. 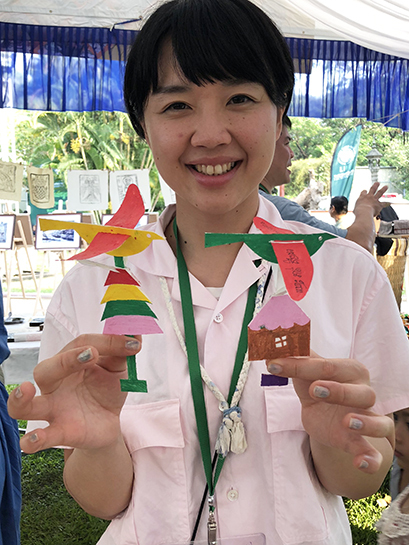 I exhibited my works and demonstrated making paper automata and held workshops. 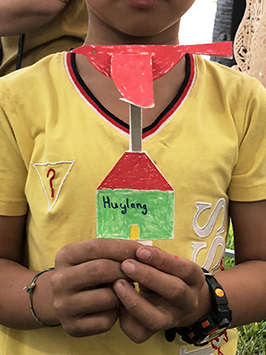 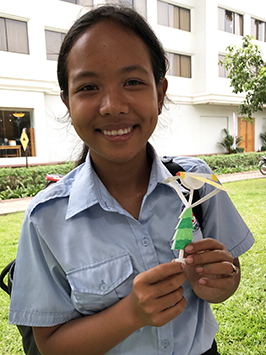 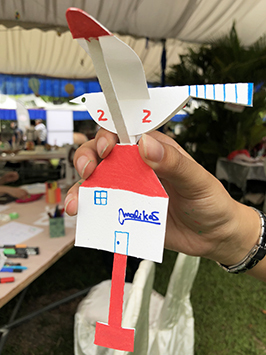 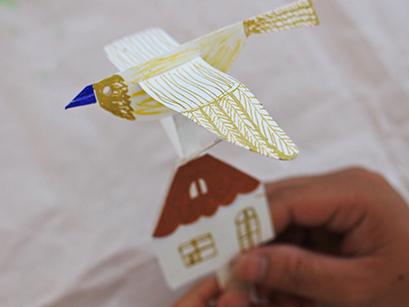 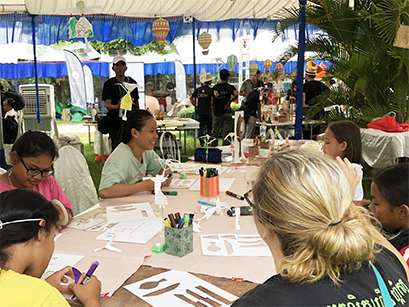 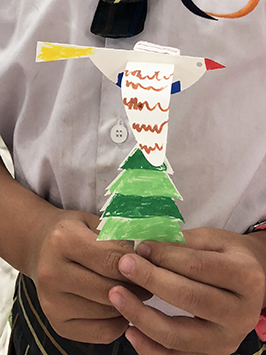 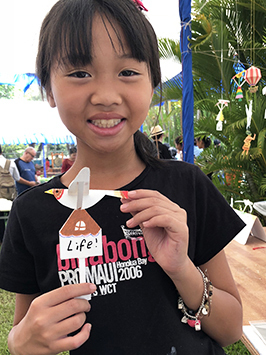 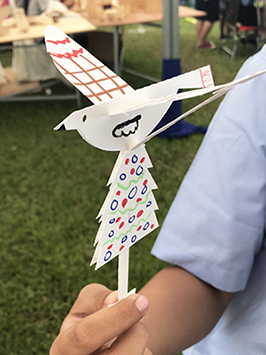 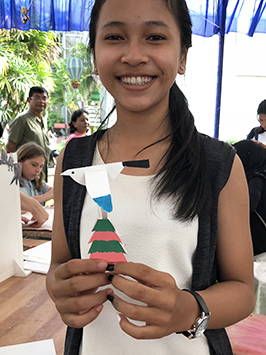 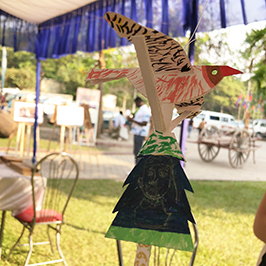 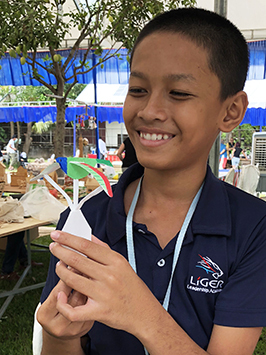 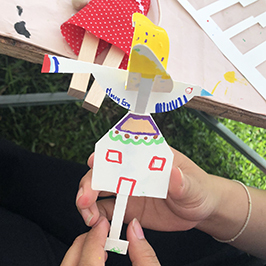 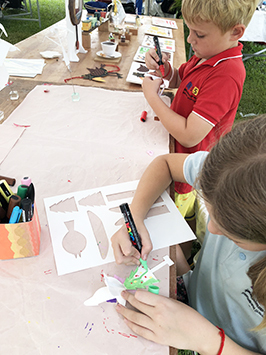 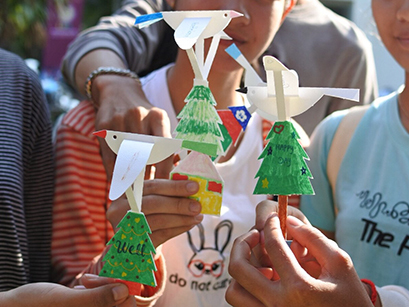 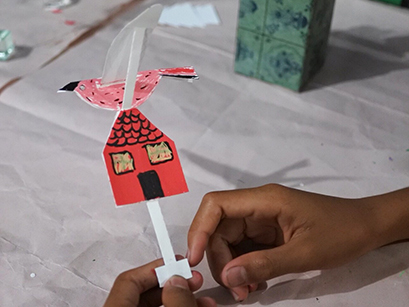 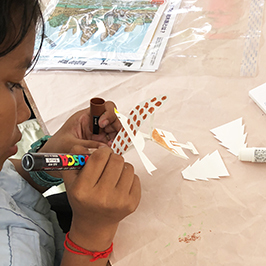 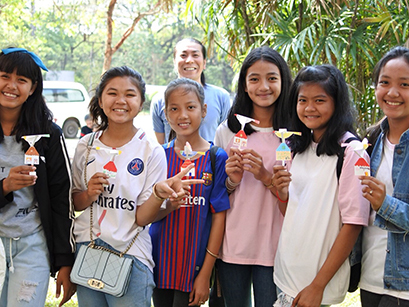 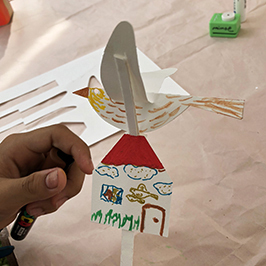 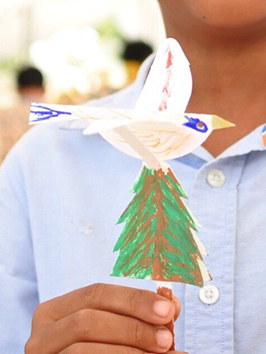 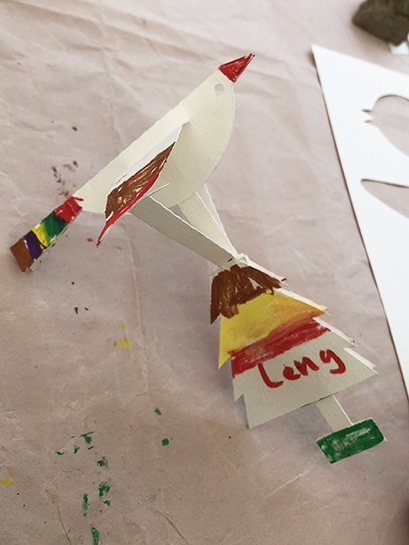 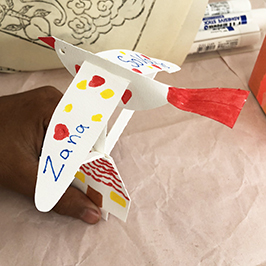 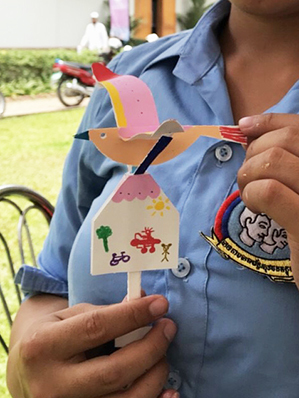 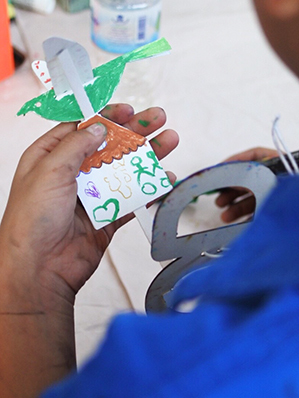 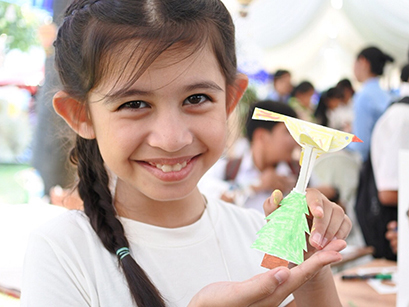 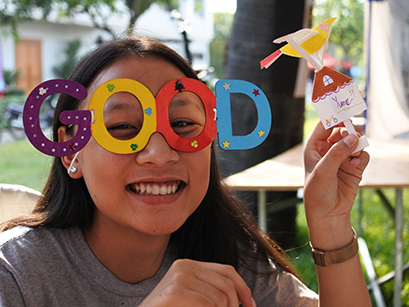 In the workshops of making paper automata that the bird flying over the tree or house, many people both children and adults participated and many great individuality birds were completed. 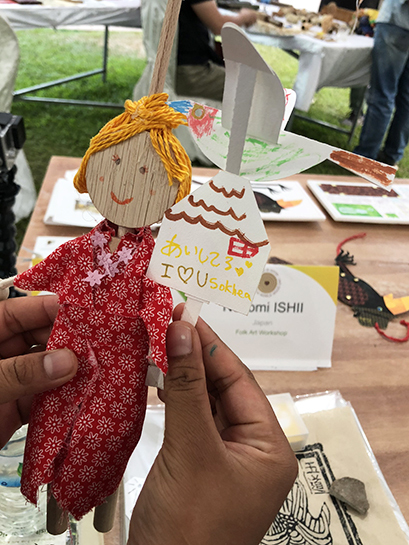 I was impressed daring colors and designs. 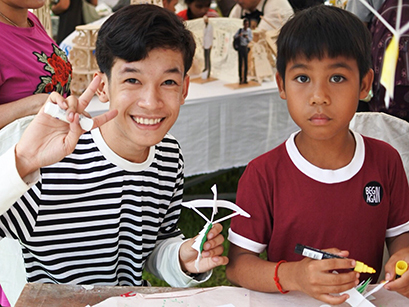 Cambodian people laugh innocently, their smiles are charming and made me happy. 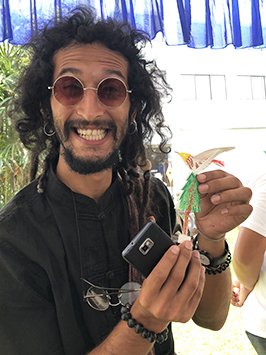 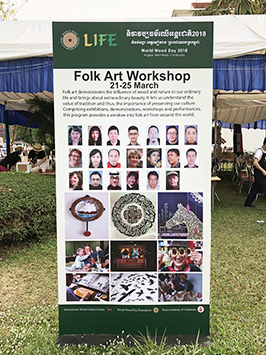 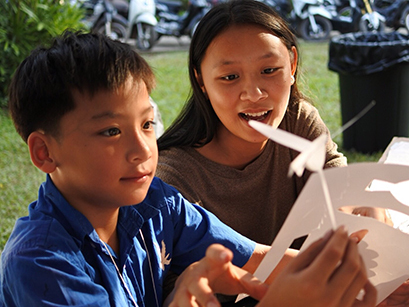 I enjoyed workshops, had a great time in Cambodia.